A high quality training programme is conducted through the large number of Degree, and Fellowship Courses in the Institute at Undergraduate and Post- graduate Level, affiliated to Maharashtra University of Health Sciences (MUHS). The main objective of the Academic programmes of the Institute is to produce highly Skilled Rehabilitation Professionals who will take up the ever burgeoning load of the Disabled Community and who are at par with the best professionals in the world. The academic section comprises of the Academic In-charge, the Deputy Academic In-charges (Heads of Departments of Physiotherapy, Occupational Therapy and Prosthetics & Orthotics) workshop Manager, Academic and clerical staff. In addition, to in-house faculty, external lecturers are also engaged for various subjects. Physical Medicine and Rehabilitation emerged as a medical specialty after World War II and since then it has gained international acclaim and is one of the most sought after specialties today. Government of India started this institute for the development of this specialty half a century ago and today the Institute is training specialist doctors in this novel discipline. Even though PMR is considered a Non-surgical branch the world over, the Institute, along with many other medical colleges in the country is imparting the training as a Surgical Specialty. This is because the patient profile seen in PMR Departments in India differs considerably with sequelae of many diseases like Poliomyelitis, Hansen’s Disease, etc. which need Surgical Intervention. This course is affiliated to Maharashtra University of Health Sciences, Nashik. 50% of seats are reserved for DGHS quota filled through All-India common entrance test and the other 50% for Maharashtra state CET. This course is affiliated to Maharashtra University of Health Sciences, Nashik. The goal of training of post-graduate candidate in the respective specialty is to enable him /her to function as a consultant in the respective physiotherapy specialty. The programme shall focus on clinical reasoning, problem solving and measurement of treatment outcome, emphasizing on the recent diagnostic & therapeutic trends in Manipulative Therapy, Neuro-Development Approach & Cardiopulmonary Physiotherapeutic skills. 50% seats are for candidates who have passed Bachelor’s in physiotherapy from University in Maharashtra; selected through PG-CET conducted by Directorate of Medical Education & Research ,Government of Maharashtra and 50% seats are for candidates from all over India including Maharashtra who have passed Bachelor’s in physiotherapy and selected through common Entrance Test conducted by this Institute. It is a fulltime course, 6 days a week of one academic year duration. Course begins in January every year. Community posting on Sundays/ holidays as and when required. 50% seats are for candidates from all over India including Maharashtra who have passed their H.S.C. (10 + 2) Examination, selection of which is done by this Institute through Entrance Test. 50% are for candidates who have passed their H.S.C. (10 + 2) Examination from Colleges/Schools from Maharashtra State, selection of which is done through the Common Entrance Test conducted by Directorate of Medical Education and Research ,Mumbai, Maharashtra, i.e. MHT-CET. 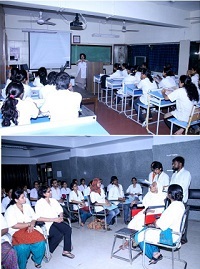 This course affiliated to Maharashtra University of Health Sciences, Nashik. Candidates who have passed their BPO course from any Institute, recognized by the Rehabilitation Council of India- New Delhi are eligible for admission to the MPO course as per the prevailing rules and guidelines. The students pursuing Masters in Prosthetics and Orthotics are supposed to work on dissertation topics of their choice and submit their thesis within three months prior to their appearing in the final examination apart from classroom training and clinical work. There is a University Examination at the end of each year and the degree of MPO will be conferred after the candidate has successfully passed the final exams at the end of the second year.